People have used steel over 3000 years. Steel supports our daily life, a world without steel would be a very different world. 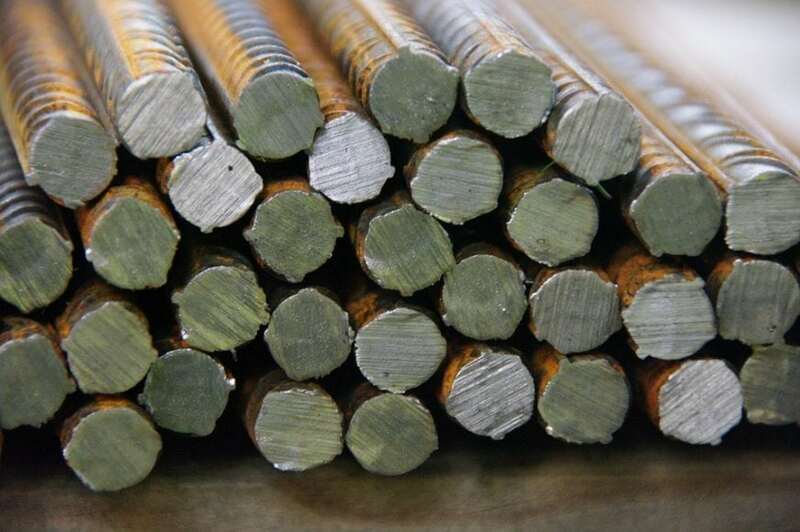 The main element in steels is iron, and iron is one of the most abundant metals in the earth’s crust, mainly in the form of various iron oxides. Iron has allotropes of α-Fe (ferrite with a body-centered cubic (bcc) crystalline structure up to 910˚C), γ-Fe (austenite with a face-centered cubic (fcc) at the temperature interval of 910˚C~ 1394˚C) and δ-Fe (bcc at 1394˚C ~ 1538˚C) at atmospheric pressure. Above that temperature of δ-Fe, iron is in a liquid state. Pure iron (α-Fe) is not strong and hard enough to make kitchen knives and other tools for industrial applications, however, steels, particularly carbon steels (iron added with a small amount of carbon), can be hard enough to cut through pure iron as if it were mud. The scientific mystery remains unclear historically. The hardening behavior is because of the formation of martensite structure, which is stabilized by carbon atoms after martensitic transformation. Austenite structure is also a solid solution with carbon atoms, however, it can never be hard as the martensite structure in carbon steels. In a recent paper published in Journal of Materials Science, electron diffraction analysis in transmission electron microscope has unveiled that quenched Fe-C martensite is actually composed of two crystalline phases: α-Fe (ferrite) and a metastable ω-Fe phase with a hexagonal structure. Carbon as an interstitial atom actually stays inside a metastable ω-Fe fine particle, which is distributed on twin boundaries in martensite. Carbon atoms can stabilize the ω-Fe particles, thus, more carbon atoms result in more ω-Fe particles. Again, the ω-Fe particles and the twin boundary structure stabilize each other. In turn, a lot of twin boundaries exist inside martensite structures. Finally, the martensite structure is composed of a fine grain structure connected by twin boundaries with a high density of fine ω-Fe particles containing carbon atoms. The twinned structure with ω-Fe particles can be observed in quenched Fe-C martensite regardless of the carbon content. This unique structure is probably the main reason for martensite becoming hard after carbon addition. Quenched martensite is hard but brittle, post-tempering is usually applied to improve the ductility for applications. Tempering will cause the martensite structure to transform into a mixture of ferrite and carbides accompanied with a disappearance of twinning structure and ω-Fe in the original martensite. The confirmation of the ω-Fe existence in quenched Fe-C martensite has been explained by electron diffraction analysis in a recently published paper “Electron diffraction analysis of quenched Fe–C martensite” by Liu, T.W., Ping, D.H., Ohmura, T., and Ohnuma, M., in the Journal of Materials Science. Dehai Ping is a researcher affiliated with the National Institute for Materials Science.